Michael’s research in the area of databases and information systems focuses on developing innovative database technologies to support novel and emerging application domains. To support context-aware applications, he designed and implemented the storage and query processor of a context-aware object database, which was used as the basis to implement a context-aware web content management system and a mobile multi-channel tourist information system at the annual Edinburgh Fringe festival. Michael contributed to the development of metamodel extension modules that facilitate the adaptation and extension of database management systems. Another area of interest are data stream management systems, where he he contributed to the design of the C-SPARQL language and played a key role in architecting a query execution platform. In the context of the NiagaraST project, he made major contributions to the theory and practice of data-driven windows, so-called frames. Michael was a senior researcher at the Institute for Information Systems at ETH Zurich. 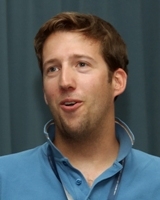 He was born in Basel, Switzerland and graduated in Computer Science at ETH Zurich in 2001. In 2007, Michael completed his PhD entitled “An Object-Oriented Version Model for Context-Aware Data Management” under the supervision of Moira C. Norrie at ETH Zurich. In addition to research, Michael gained experience as a lecturer as well. Currently, he is teaching a course on object-oriented databases for advanced students. Michael also has a track record of working as a software developer and engineer at several Swiss companies in the pharmaceutical and software industry. While at ETH his research focused on innovative database technologies to address the requirements of emerging applications by extending object-oriented databases with novel concepts. In response to context-aware applications, Michael has defined an object-oriented version model that supports context-dependent data management and query processing. To support the needs of today’s web engineering where the need for context-awareness is particularly predominant, he has developed a content management system that can be used as an implementation platform for model-based approaches. This Extensible Content Management (XCM) system is built around the separation of content, structure, layout and view. Metadata about all four concepts is managed context-dependently leading to a very flexible and powerful system. At the moment XCM consists of a server component and a client graphical user interface. In 2005, XCM successfully served as the server back-end of EdFest mobile tourist information system at the annual Edinburgh festivals. Michael has published his latest work in 2007 in the book Context-aware data management (ISBN-10: 3836429381).